Didn't there used to be a Blockbuster here? Ever since Bella Swan proved that swooning over a sparkly, non-threatening vampire could earn significant box office gold, Hollywood has been hard-pressed to find the next mega-successful YA, or “young adult” franchise. Yes, Harry Potter actually jumpstarted the search, but Twilight suggested that the boy wizard was no fluke. 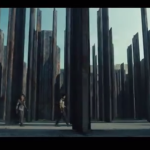 The Hunger Games only added fuel to the studio suits’ fire, resulting in such uneven entries as The Giver and Divergent. Now comes The Maze Runner, based on the acclaimed 2009 novel by James Dashner, and though it’s awfully redundant and familiar, it should also be seen as the standard bearer for all future YA attempts. Balancing the needs of the characters with the standard dystopian dramatics, as well as providing an intriguing premise behind what’s happening, there’s a real sense of scope and danger here. While we could use a bit more interaction inside the title trap — and a bit more respect for the source material — what we do get ends up being time well spent. Our hero is named Thomas (Dylan O’Brien) and he has just woken up inside an outdoor elevator in strange place. He has no memory and no frame of reference within a ragtag group of male adolescents that live in a rustic outdoor community called “The Glade.” Surrounded on all sides by huge concrete walls that open every morning to expose a maze within, the various leaders of the group, including Alby (Aml Ameen) the chief, Gally (Will Poulter) the protector, and Newt (Thomas Brodie-Sangster) the thinker, believe that Thomas is an omen of bad things to come. Sure enough, one of the “runners,” whose job it is to map out the immense labyrinth every day, is bitten by something called a “Griever.” A death sentence, everyone sees this as a sign. Then a young woman named Teresa (Kaya Scodelario) shows up, bringing with her even more bad tidings. Soon, the gang learns that, in order to survive, they must solve the puzzle of who put them there and why, while finding an actual way out of this mechanized trap. Thanks to the inherent curiosity involving what lies beyond those massive concrete walls and the way in which first time director Wes Ball builds up to the reveal, The Maze Runner is instantly engaging. It doesn’t always make a whole lot of sense and holds back some significant information that anyone living in the Glade for the last three years would have already stumbled upon, but for the most part, the movie manages to craft an intriguing origin story ripe for further franchise sequel exploration. We are genuinely interested in the backstory here, to find out why Thomas is “important” and why his arrival is impacting the Glade so. Similarly, the characters we meet in this Lord of the Flies like society are equally engaging, never as pat or pandering as you expect. Everything, from the acting to the setting, to the stunning CG-enhanced maze, have a real weight and sense of purpose. There are few wasted moments here, and as stated before, the action would benefit from more of the title exercise. Also, for those who loved the book — beware! The trio of screenwriters involved here have dissected Dashner’s tome, bringing some elements to the fore while reworking chronology and causation. For some, this will be sacrilege, but for the vast majority of filmgoers, it won’t matter. Instead, all they will care about is that The Maze Runner plays fair within its slight sci-fi leanings. And it does. 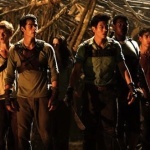 By making sure that everything ends up in service of the setup and the situation as it unfolds, The Maze Runner becomes a solid example of how to handle a YA property. It’s as entertaining as it is intriguing. I’ve just seen the film an couldn’t agree more with your review. Fans of old school Sci-Fi films like alien, blade runner and terminator will enjoy this. I’m downloading the score as we talk.